Hello, friends! And hello, Saturday! 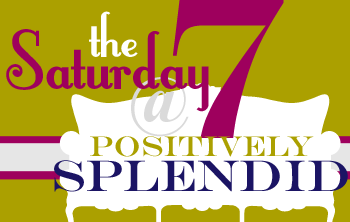 If you’re new to Positively Splendid, each Saturday I take some time to shine the spotlight on seven projects that have wowed me the most over the course of the last seven days. Be it a project, a recipe, an event, or something else entirely, if I love it, you can count on finding it here! So – let’s hop to it! I present to you (in no particular order) this week’sSaturday Seven! Can I play, too? This giant human bubble looks downright delightful! With two summer birthdays in our future, this might just happen here at Chez Bell. Fun! The moment I saw this tutorial, I knew I *had* to make some of these for Cuatro’s new room. What a colorful, eye-grabbing way to use up fabric scraps! I don’t think I can find a word sufficient to convey how much I adore this! 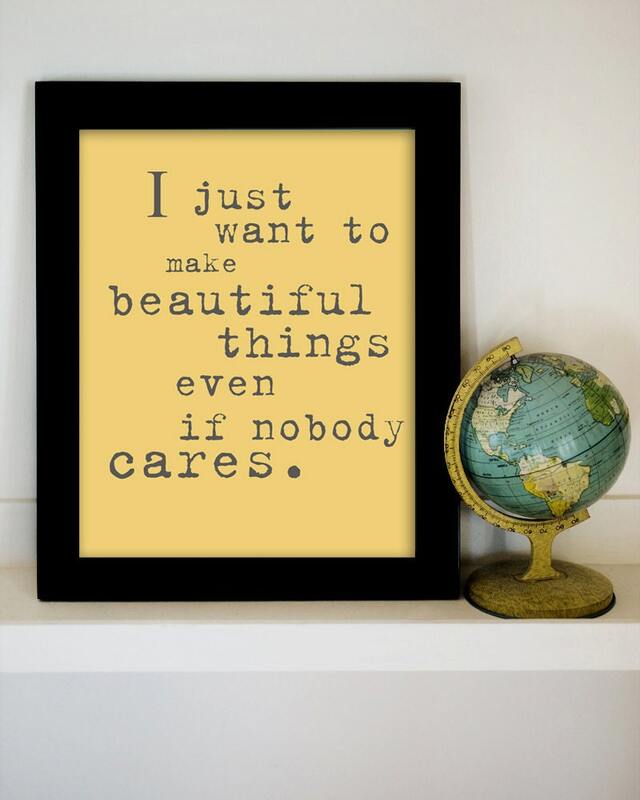 Head over to this Etsy to find this gorgeous piece and many others to inspire you. Oh. My. Gracious. These are lovely on so many levels. I love the bicycle motif. (Did you see the darling button “gear” there?) And those multicolored pennants. And all that glorious color! 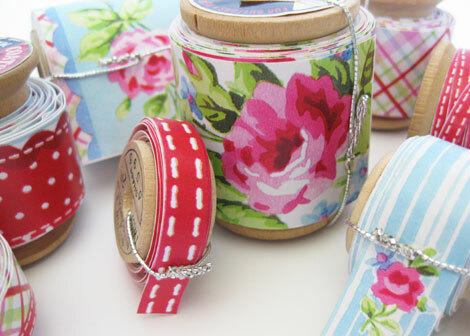 I can see so many gorgeous potential uses for this tape! Gifts, cards, home decor. Just lovely. I love finding new, inventive ways to keep my kiddos entertained, and this idea to round up toys and other items from around the house to make a color-coordinated eye-spy book certainly fits that bill! 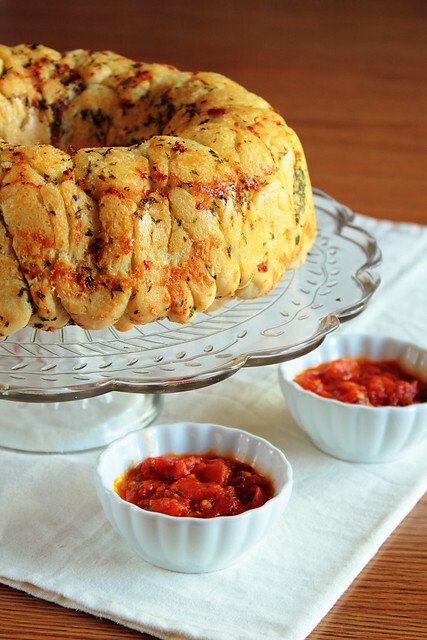 I am breaking tradition here to included a savory, not sweet, edible goody in the lineup, but this was too delectable not to share. Yum! Have you been featured? Feel free to grab a button! I hope you’ve got wonderful plans in store for this Fathers’ Day weekend! What a great line up! 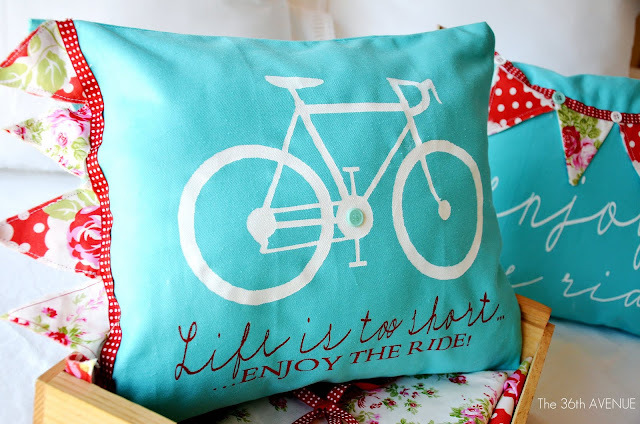 LOVE the bicycle pillow! They are all SOO so cute and fun! I am obsessed with the turquoise bicycle pillows! Oh my gosh! Have an EXTRAordinary weekend and THANK YOU again! Those sprocket pillows are so fun!